Accuracy is the name of the game for the Sig Sauer P226 X-Five Open pistol. 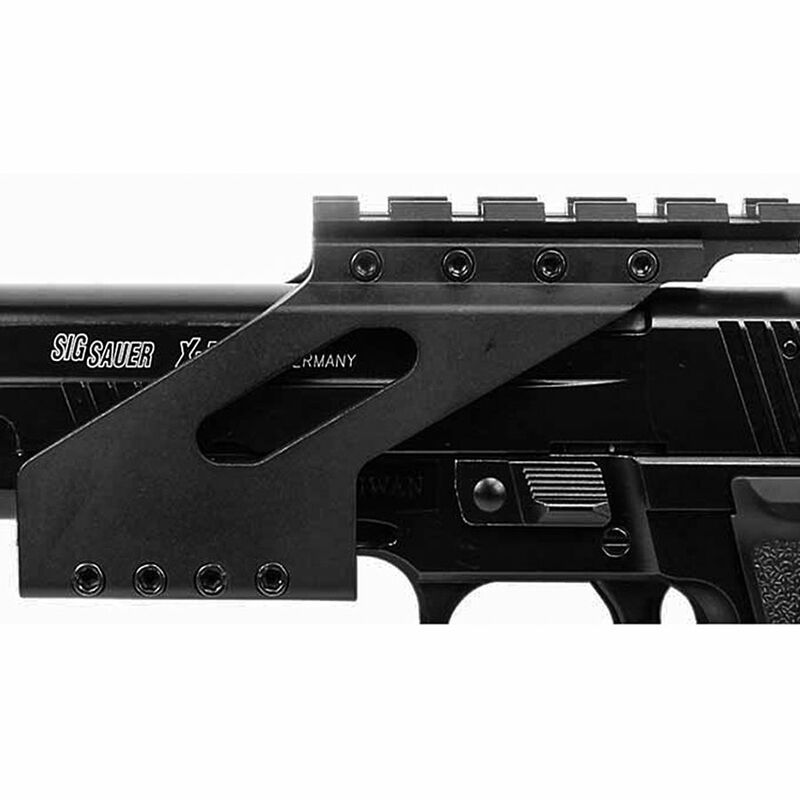 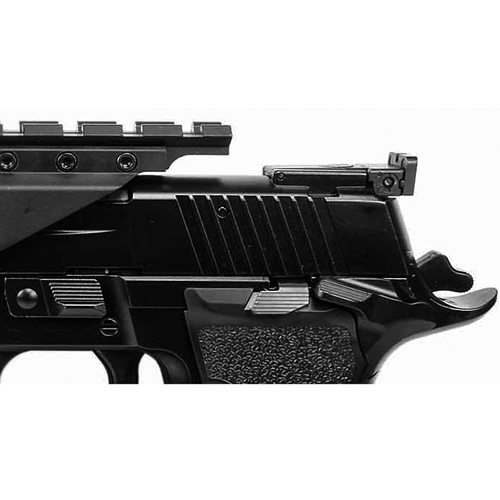 It includes an adjustable rear sight and red-dot capable X-mount system to help you line up the perfect shot. 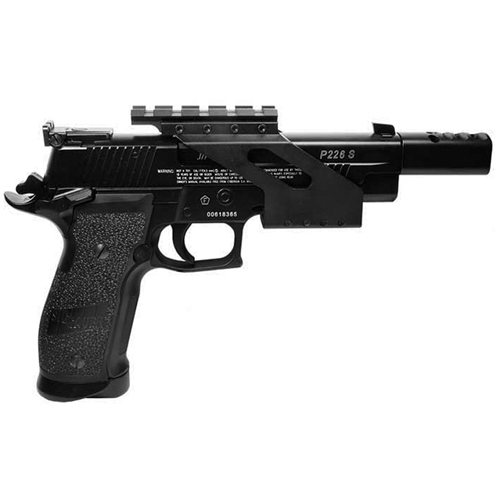 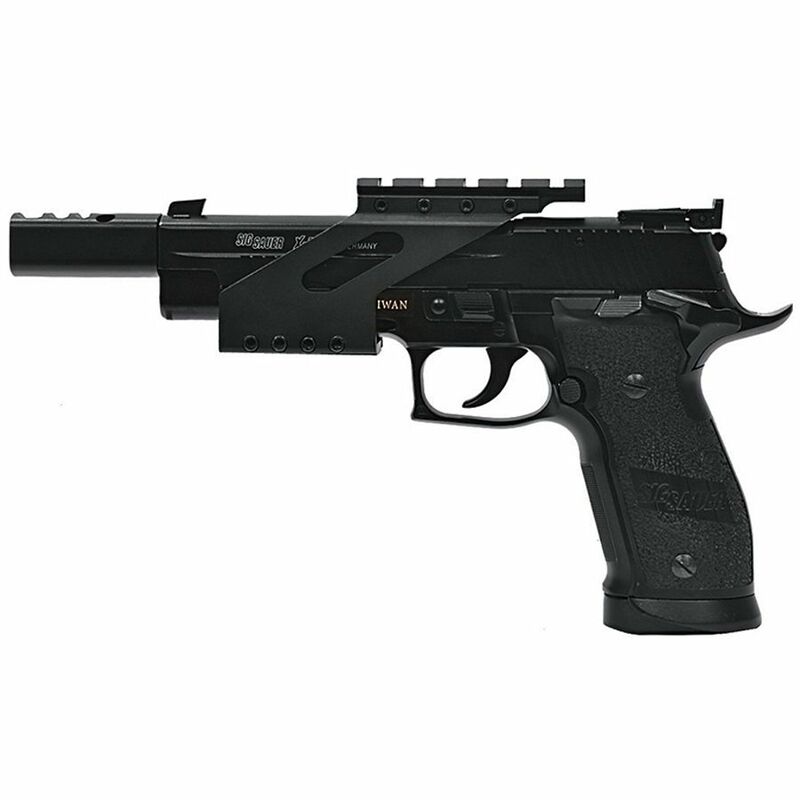 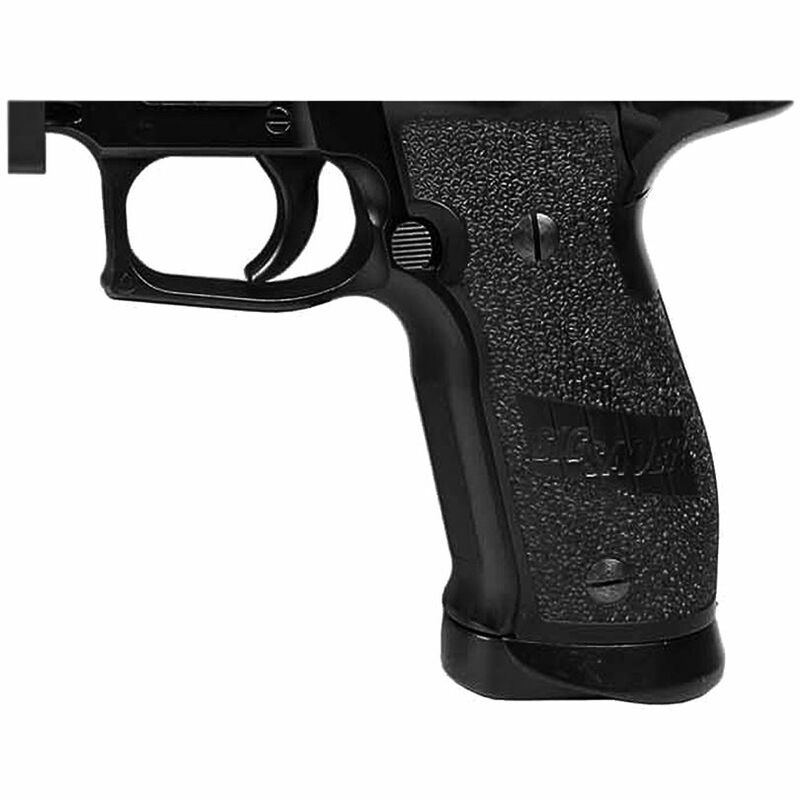 The added on muzzle compensator gives the pistol a sleek aerodynamic look and gives you increased control. 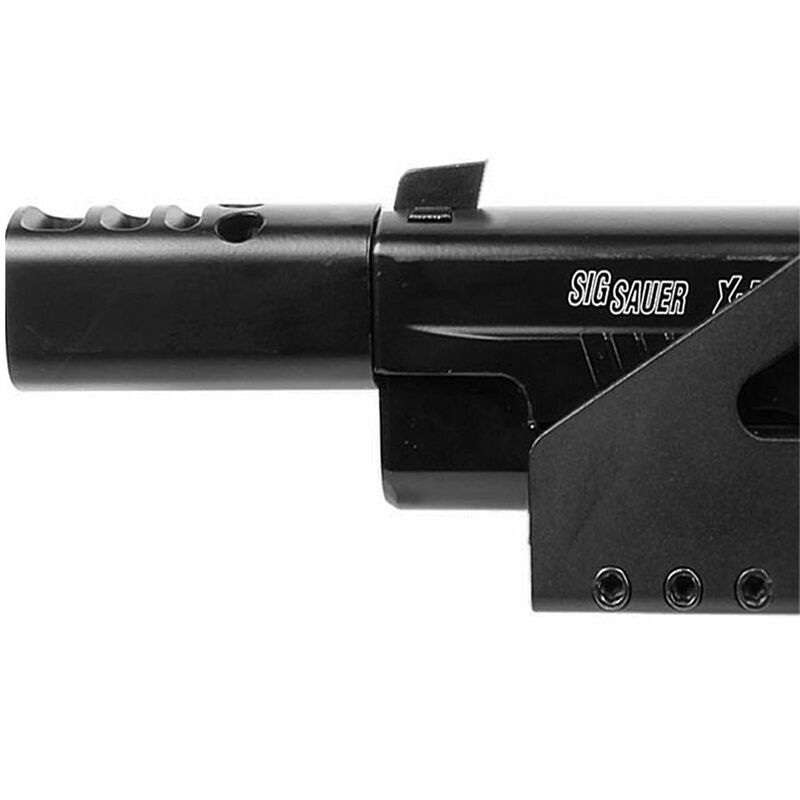 The heavy metal frame and blowback firing make it no slouch in the power and intimidation departments.